We’re told that when life gives you lemons, make lemonade. And then there’s Brie Arthur, our correspondent for design and foodscaping. She looks at lemonade as just the starting point when mother nature throws lemons at her. In fact, Brie knocks them out of the park. Such was the case with the soil that covers the entire region around Brie’s Raleigh, NC home. Nematodes (microscopic worms of which certain species can wreak havoc on almost anything growing in the space where they live) made growing her beloved tomatoes in the ground nearly impossible. Imagine how frustrating it would be for an avid gardener and tomato growing rockstar such as Brie to be thwarted by a problem that many experts will tell you has no solution. The smoking gun of nematode damage are nodules on the roots of plants such as these pulled from Brie’s garden. 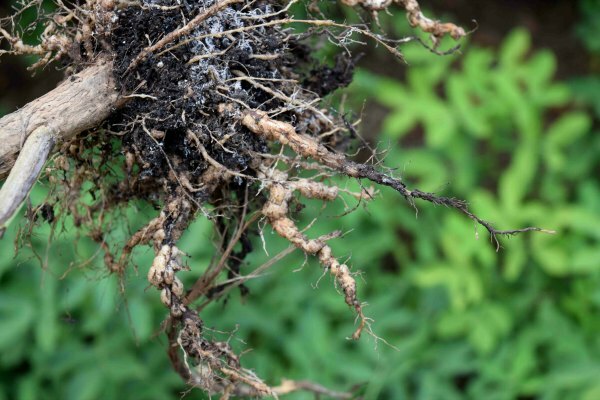 Harmful nematodes can make it impossible to grow certain plants like tomatoes to maturity. Fortunately, Brie is undaunted but such obstacles. 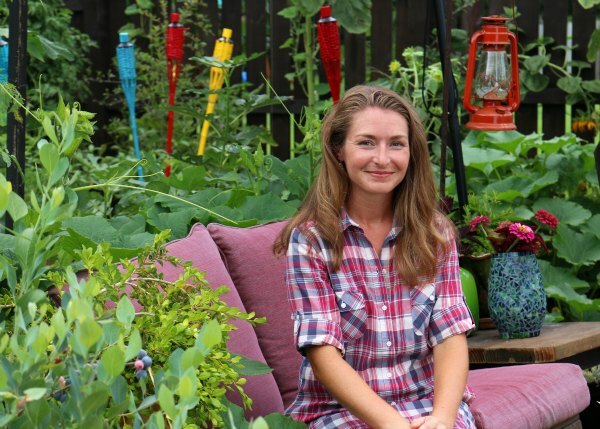 What would have most gardeners and weekend warriors hanging up their trowel, for Brie, it’s just the kind of challenge she embraces to find a solution – a better way that might even be a solution anyone can apply to a similar challenge. That was the catalyst that started Brie’s quest to find new ways for growing some of our favorite vegetables. With a strong background in horticulture and plant propagation and an insatiable lust to solve the next great gardening challenge, Brie set out to find alternative growing solutions to difficult conditions beyond just the ones facing her head-on in her own garden. Not all of Brie’s experiments were successful. But learning from the failures is one step closer to the next successful effort. 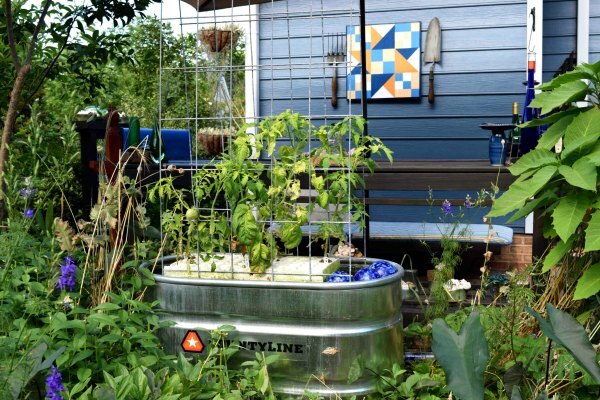 Here, tomatoes growing in galvanized tubs using aquaponic methods proved to be too difficult without making significant changes. Lessons learned! When Brie shared with us her plans to experiment with alternative methods of growing edibles in small spaces and challenging conditions, we were all over it. Our plan was to track her progress through the growing season as she experimented with cutting edge techniques to try and beat Mother Nature at her own game. The options she was devising as possible solutions were versions of methods she had never even tried herself. All the more reason we wanted to be there to see these trials unfold however the cards were dealt. To cover this project, we visited Brie on three separate occasions. We were there for the very start of her experiments, again in mid-season to check on the progress and challenges, and finally at the end of the growing season to get the postmortem assessment of what worked, what didn’t and why. It was a fascinating journey for Brie and us. We think you will agree after watching Brie work through her various alternative growing environments in real-time. The Tower Garden – This is the tall tube garden with grow lights demonstrated in the show and Brie’s most successful garden of the season. I live in a shady neighborhood. My only sunny spot is over my septic system. I have been doing flower pot gardening for years by placing my flower pots in wagons, carts, and wheel barows. This year I have been playing with hydroponics. I converted an old grill into a hydroponic herb garden. I removed the grill parts and lined the inside with foam to protect the platic leaf bag liner. It is a floating hydroponic garden. I used christmas lights in the lid for grow lights. I am researching what to try next year. Here is a link for making Tiki Torch which helps repel mosquitos. Have a great season in the garden. I recently saw an episode where they made a raised bed with composite wood that slid down into blocks. Do you know the name of the blocks and where I can get them? They are called Builders Blocks and we purchased them from Home Depot. Thanks for watching, Happy Gardening! 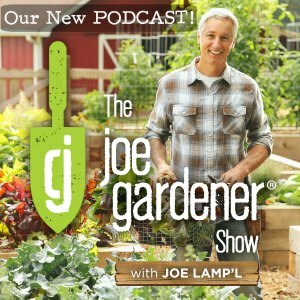 I saw a recent show were Joe was in his garden and he talked about growing tomatoes and the way to tie them up. I missed what to buy for tomatoes. Has anyone tried to cultivate orchids in a tower? She should try to dig a hole and put the buckets just below ground level. black buckets in the sun will get hot. Simply lowering the bucket will reduce the temperature of the water. Something to think about. I had a similar problem growing up seedlings of perennials in pots. I painted the pots white and moved them to a location that received shade from the midday sun when the temperature started to get hot. This worked well. Also, I drape shade cloth over plants that cannot be moved to protect them during hot spells. Moderating temperature extremes is one of the biggest challenges for those gardening in the continental interior. I have been growing food by hydroponics. The tower system is very expensive. I build and design my own systems. If you want to get into aguaponics and build the system yourself. google: toteponics. This is a system that you modify IBC containers. Regarding hydroponics, I have learned that the ebb and flow/flood and drain system work very well. I use a a 55 gal. reservoir this makes a great buffer for the nutrients. When I first became interested in hydro. I was amazed how expensive these systems were. So I began to read magazines, surf the internet on you tube. There is a huge amount of free information on d.i.y. You can even build your own tower system using PVC pipe. The show was good and I can relate to the young lady’s misfortunes. The key is to experiment, do your research, and learn from your mistakes. One more crucial bit of information. Keep a journal of everything you do to your hydroponic set up. Nutrients, ph, tds, water up take, growth rate. If you grow inside, Get set up using a co2, you run 1,500 ppm. You will be amzed how fast your plants will grow! Joe….absolutely great episode !!!!! In fact, I just bought three Tower Gardens based upon this episode. I live in Texas and went to the Texas State Fair….and guess what….at the greenhouse on the midway was Tower Gardens set up from Dallas Urban Gardens…..(you really need to check out these folks)…….Just total reinforcement that I needed to get these Aeroponic Systems. For now one system will be set up in Azle, Texas and the other two will be set up inside of a Solex Greenhouse at our Tiny Cabin in Northwest Arkansas. Can’t wait for the wonderful growing results !!!!! So glad you enjoyed episode 813. Be sure to keep us posted on your results with gardening and using the Tower Gardens. It will be interesting to see how they fare in the different locations. Best of luck! I think that the tower is a great idea, especially for someone who gets joy out of growing plants but may not have an outdoor place for a garden. For those who may only have a balcony or sunny window it is a great option. 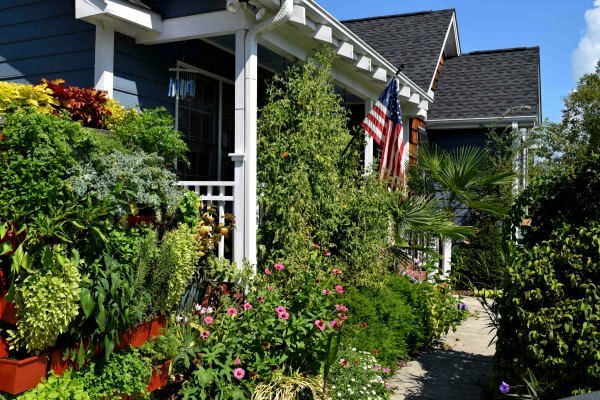 It could also be a way for the elderly to continue their love for growing when they can no longer get out to the garden , could be a great activity at nursing homes. Since it will last forever it should never end up in a landfill and can be handed down. Joe, I have just watched episode 813. I have been researching Hydroponics and Aeroponics. Bree was a great encouragement to go ahead and give this a try. You are a great mentor and influence. Thank you thank you. Hydroponics. Lots of good information. Thanks for watching. I hope this helps. I just watch this episode and I am fascinated with the aeroponic’s tower. Where can I buy a similar one to what was in the episode please? Here is a link for the tower garden. Enjoy. hydroponics in general here is a great link. Thanks for watching. Happy gardening. Joe, why aren’t there any links to this episode? You may also want to contact brie at briegrows.com for more details about her gardening methods. The Tower hydro system is outrageously expensive. Perhaps there was some sponsorship deal here. I have purchased a GrowUp system for about 1/3 of the price. It has a growing medium (I use Growstones), has the same size reservoir. Results have been awesome. In Florida, we have to grow in the fall winter, and spring. As far as I can ascertain the native peoples who used/invented the 3 sisters method never saw a Pilgrim. Mr Hughes is also correct in his list of drawbacks. For me the biggest drawback is the price. Almost $46 a month!! This is NOT a small footprint, or indeed a good yield to input ratio, when all the above are factored in. Not, I think, such a good contribution to growing a greener world; more an advertisement for the most convoluted way of getting your tomatoes! Kind regards. I do generally very much enjoy your program. This girl is a true game changer! Jonathan, the main thing Hoya (also called wax plant) needs to grow and flower is bright indirect light. I am attaching a link with a bit more detail on the care for this plants. Enjoy!